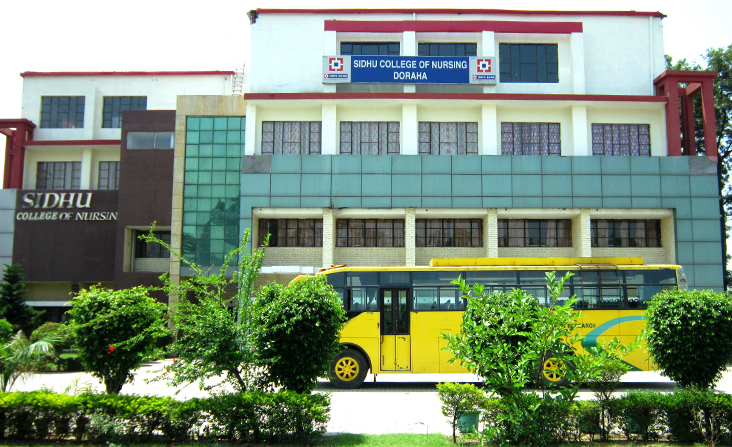 Sidhu college of Nursing is situated on G.T. Road surrounded by lush, green environment away from the city's noise and pollution. The Parent Hospital, ie. Sidhu Hospital, which is 170 bedded, multi-speciality hospital with latest technologies, is located in the heart of the Doraha city. Today, Sidhu Hospital is a renowned multi-speciality hospital with almost all departments like Medicine, Surgery, Orthopedics, Gynecology, Pediatrics, Radiology, Anesthesia, Nephrology, Dialysis, Cardiology etc. Sidhu Hospital is the forerunner in laproscopic and bariatric surgery. Late Dr. Harbans Singh Sidhu who then worked as the Senior Medical Officer at PHC, Payal came to know about the need of an excellent hospital in Doraha which is about 20km from Ludhiana. So, he started his own clinic in 1965 to provide quality medical care targeting the rural population of Doraha. Later on, the untiring effort of this eminent and unique personality promoted this clinic and laid the foundation of a Hospital in 1972 which was yet again upgraded in 1983. 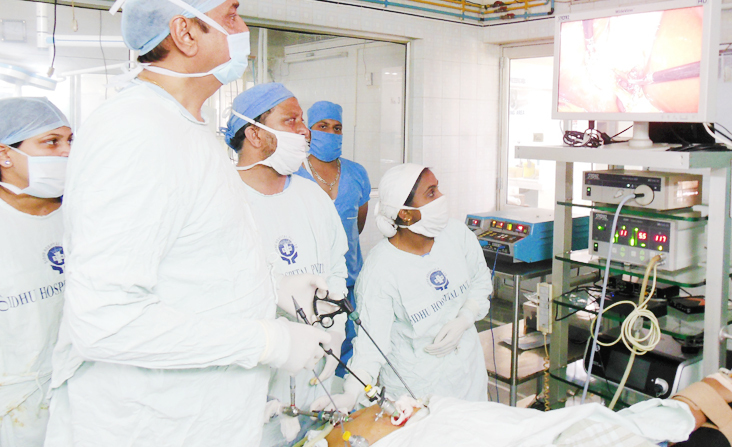 This hospital proved to be a great boon to the local as well as rural community. Later on, two of his sons and daughters in Law upgraded this hospital into a super-speciality hospital. 24 hr electricity supply via generators. I.C.U and I.C.C.U with cardiac monitors, defibrillators, E.C.G., TMT and Echo facilities are also present. Fully equipped laboratory with auto-analysis for 24 hrs, digital radiography, two X-ray plants, Ultrasound machines, Color Doppler, C.T. Scan, Latest Dialysis Machine, ECHO, Ventilator support, physiotherapy are also available in the hospital. 24 hr hospital services and ambulance services are also present. 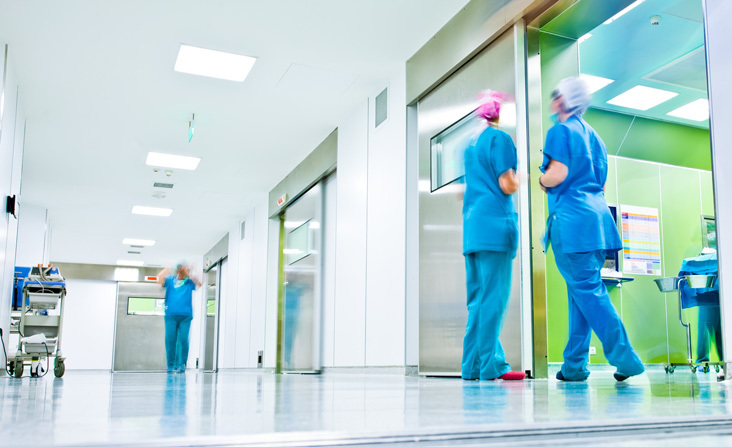 Doctors and nursing staff are available round the clock for providing and comprehensive care to the patient. 24 hr available accident / trauma and emergency unit. 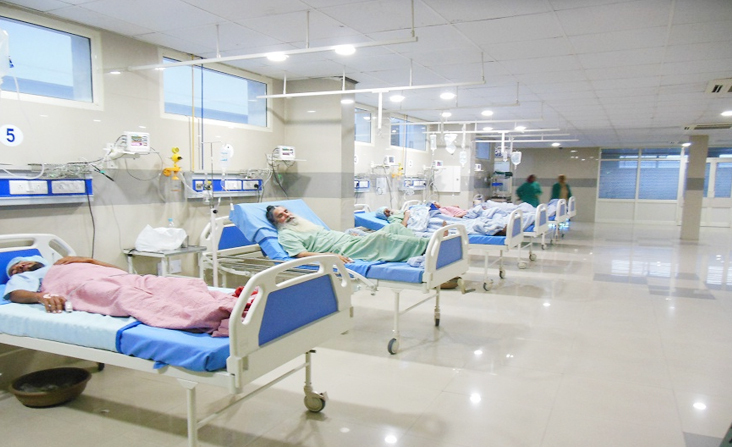 As the number of patient increased in the hospital and number of beds were added. 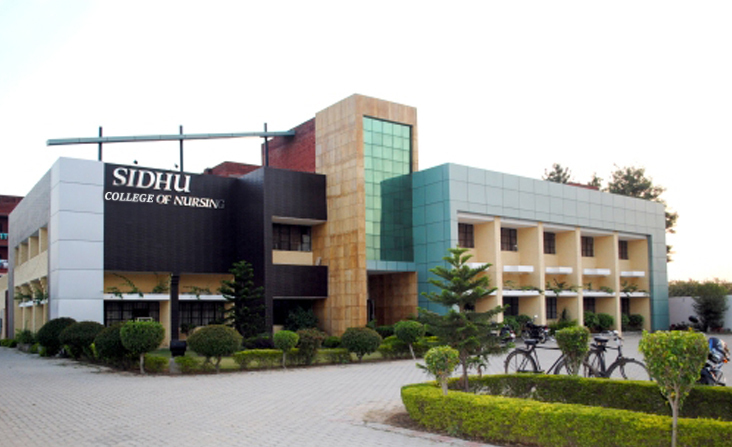 To give the best nursing care to the patient and to educate the girls of Punjab and make them self-sufficient, the management of Sidhu Hospital thought of opening their own institute of nursing education. This dream was realized in the year 2000 when they got the final approval to open the College of nursing. The 15t batch of GNM students was admitted in the year 2000.